Here's a quick post to share this cool photo from a BAT-BLOG FACEBOOK Friend named Terry. 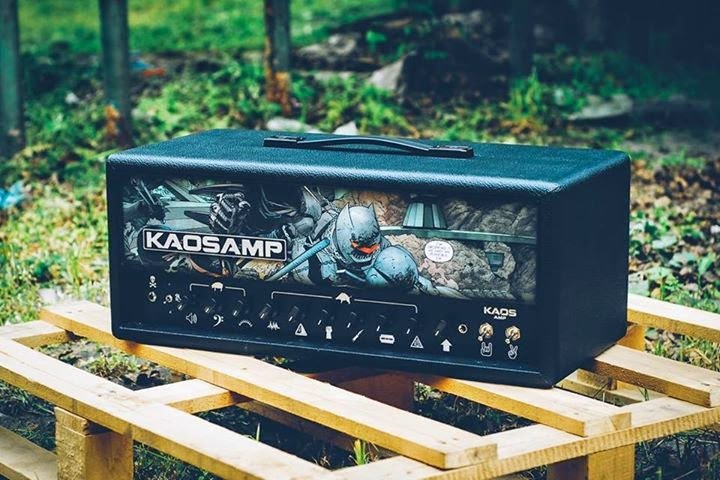 This is a very High Quality, Custom Made, Hand-Built, Hungarian , Hi-Gain ELECTRIC AMP by KAOS. Very nice stuff! These are made by a Hungarian company. They have a couple of production model amps, but their custom shop allows customers to choose their own face plates. Someone obviously chose wisely.